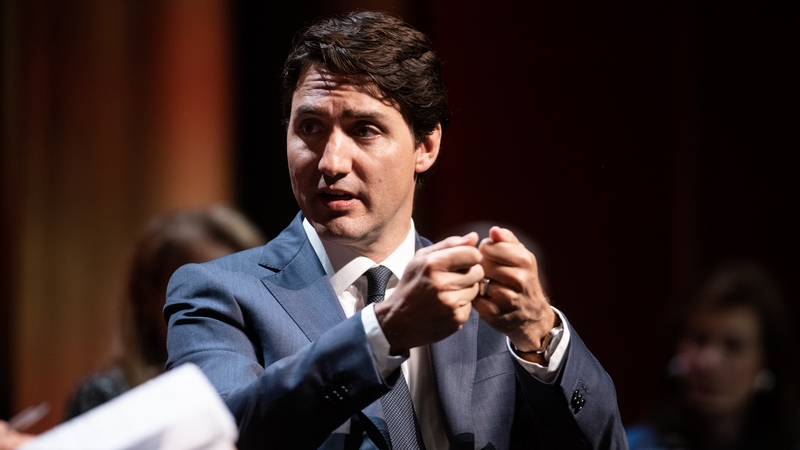 The Canadian dollar fell as much as 0.6 per cent against the greenback in early Asian trading on Monday as dealers responded to the G7 meeting and its aftermath. The Australian and New Zealand dollars also declined amid risk-averse price action. Kudlow said the U.S. participated in G7 talks and bilateral talks on NAFTA in good faith and that Trump had been “charming.” But the president broadsided his allies after leaving the meeting by disavowing a joint statement the U.S. had agreed to, criticizing Trudeau and vowing tariffs on automobiles. “I have instructed our U.S. Reps not to endorse the Communique as we look at Tariffs on automobiles flooding the U.S. Market!,” Trump tweeted Saturday evening while en route to Singapore aboard Air Force One. “Very dishonest & weak,” he said of Trudeau. At his closing press conference, Trudeau called U.S. steel and aluminum tariffs “insulting” and pledged to proceed with previously announced retaliatory tariffs. After comments Sunday by Kudlow and White House trade adviser Peter Navarro, Canada’s foreign affairs minister said Ottawa “does not conduct its diplomacy through ad hominem attacks” and was justified in responding to Trump’s tariffs. “In a way, that feeling of being insulted is most acute when these illegal and unjustified actions come from a country which is an extremely close partner of ours -- our friend, our neighbor, our ally,” Chrystia Freeland told reporters Sunday in Quebec City. Kudlow said Trudeau had engaged in a “a sophomoric political stunt for domestic consumption” and should apologize. “In the name of the Western allies, he ought to come out today and wish President Trump well in the negotiations, instead of taking potshots at us,” Kudlow said. Trump is due to meet with North Korea’s Kim on Tuesday. Kudlow, 70, at one point referred to Canada’s leader as “Pierre Trudeau,” confusing the 46-year-old prime minister with his late father, who served in the same capacity for more than 15 years between 1968 and 1984 and died in 2000. Speaking on “Fox News Sunday,” Navarro doubled down on Kudlow’s rhetoric and said Trudeau’s post-conference comments were in bad faith. The public sniping at a sitting leader of state by White House aides shocked some veteran diplomats. In a separate interview on CBS’s “Face the Nation,” Kudlow said the Trump had a “very successful, calm, friendly, respectful bilateral” with Trudeau and that the U.S. won’t withdraw from NAFTA. The negotiations will either be bilateral or trilateral with Mexico, he said. But Kudlow said he doesn’t know whether there will be a deal and that Trump had no alternative but to respond the way he did to Trudeau’s “very unfortunate” statements. “Who picked the fight? I’m arguing Trudeau picked the fight,” he said. The fight isn’t just with Trudeau and Canada but with the best allies of the U.S., Democratic Senator Dianne Feinstein of California said on CNN. How should Trudeau respond to the White House’s insults?